Sometimes it is remarkable how much better bands can get in surprisingly little time. There was only slightly over a year between the recordings of Warlock’s debut album ‘Burning The Witches’ and its follow-up ‘Hellbound’, but the German quintet made immense progress in that period. Where the former is an enjoyable heavy metal record with the occasional noteworthy song, ‘Hellbound’ is one of the greatest metal records of the mid-eighties. 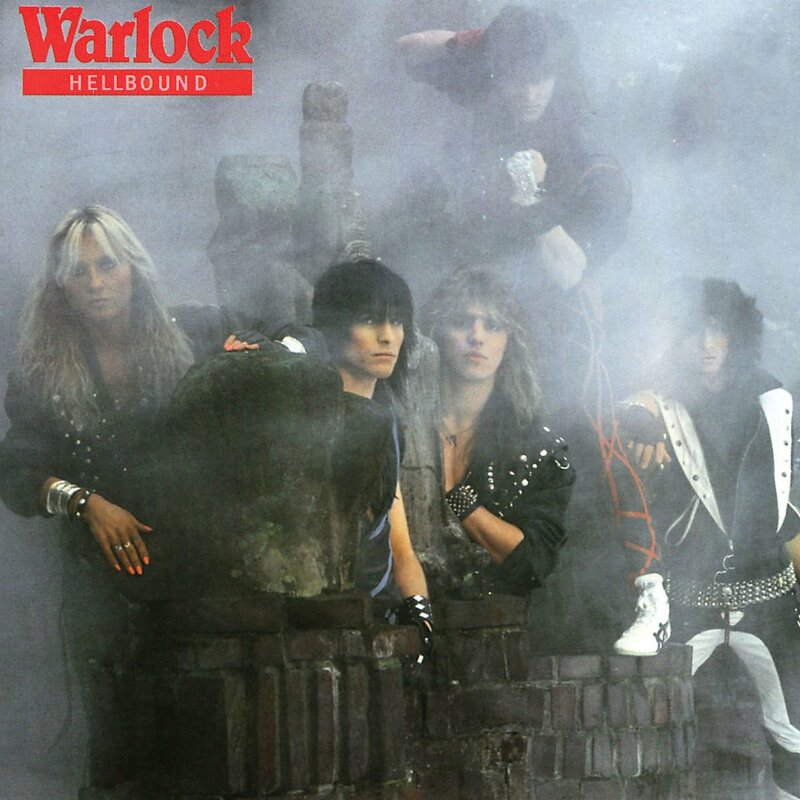 ‘Hellbound’ sees Warlock enhancing their NWOBHM leanings, which lends the album a classy edge without ending up sounding too polished. In fact, ‘Hellbound’ is highly energetic. At times even aggressive. Back when ‘Burning The Witches’ was released, Warlock gained some attention for having a female singer. Quite understandably; female metal musicians were rare at the time and Doro Pesch’s voice was in deed what lifted the album above mediocrity. Her extremely passionate performance is still one of the highlights on ‘Hellbound’, but the album is full of fantastic guitar work by both Peter Szigeti and Rudy Graf. The band’s biggest improvement is certainly made in the guitar department; while the riffs and solos are not that much different in character than before, one can hear that more thought went into the arrangements. Probably the best example of that growth is the incredibly elegant ‘Out Of Control’. In essence a beautiful melodic heavy metal track with likely Pesch’s best performance on the record, but its acoustic intro and some strategically placed bright overtones throughout the song give it even more sheen than it would have had without those subtle touches. Definitely one of the best European power metal songs of the eighties. ‘Wrathchild’ also is a hidden gem, with its melancholic dramaticism and climactic time feel changes truly enhancing the raw power of the simple, yet effective riff work. It’s not all sophistication characterizing ‘Hellbound’ though. ‘Earthshaker Rock’ and the awesome title track are uncomplicated uptempo rockers that were obviously designed for the live situation. ‘Time To Die’ is as aggressive as pre-thrash NWOBHM gets, with Pesch’s sounding at her angriest at least until ‘A Touch Of Evil’ would be recorded. The title ‘Shout It Out’ suggests a simple sing-along anthem, but it is in fact relatively epic and a masterclass in building towards a climax; the whole song seems to imply some subdued anger or rebellion that culminates in a fantastic “prepare for battle” type feel in the final minute. ‘Hellbound’ was, in a way, the pinnacle of Warlock’s original line-up. Graf left the band not long after its release and by the time Pesch’s magnum opus ‘Triumph And Agony’ was released, Szigeti and bassist Frank Rittel had left as well. Many of these songs are still played at Doro live shows to this day and it is not hard to understand why. Even though ‘Hellbound’ is clearly a product of the mid-eighties, the songs themselves are timeless. That is why over half of these songs still give yours truly goosebumps after knowing them for so long. ‘Hellbound’ is simply a near-flawless slab of European heavy metal. Last week marked the seventeenth anniversary of Chuck Schuldiner’s passing. Metal fans everwhere celebrated his genius by playing old Death records, but personally, I think the sole Control Denied album may have been his crowning achievement. ‘The Fragile Art Of Existence’ used to be my all time favorite album for a long time and to this day, I still am in awe by the melodic elegance and the complex, yet accessible nature of the record. Despite the shadow of the disease that would eventually kill Schuldiner inadvertently looming over the album, the album impresses with excellent songwriting and ditto performances. The cast of musicians on ‘The Fragile Art Of Existence’ looks like an all-star cast of Death musicians with a clean singer. Tim Aymar’s powerful, theatrical voice that is equal parts Ronnie James Dio and Rob Halford is what gives the album its own face, because the music isn’t that much different from the final Death album ‘The Sound Of Perseverance’. That should not be too surprising, given that some of the songs on that record evolved from Control Denied demos. 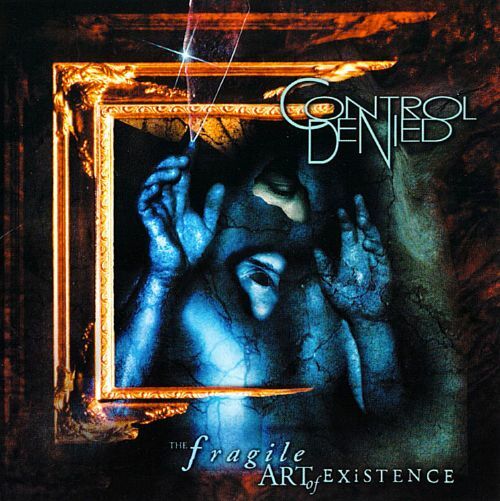 As a whole, Control Denied comes across slightly more streamlined, though the songs still feature all the abrupt changes and glorious melodies that Schuldiner was known for. It is hard to imagine most of these songs as Death songs though. The guitar riffs and arrangements in tracks like ‘What If…?’ and the incredible ‘Believe’ seem to be set up specifically with the idea of leaving as much room as possible for Aymar’s vocals, making their structure feel somewhat more open than Death’s dense compositions. Of course, those moments of density are still there, as not giving the virtuoso rhythm section of Richard Christy and bass wizard Steve DiGiorgio any room would feel like a waste of talent. What makes these guys good, however, is that they also know when to hold back. My collection does not feature many other albums with such a consistently high level of songwriting and performance throughout. Only ‘Cut Down’ is merely good. ‘Breaking The Broken’ might be the best transitional track for Death fans, as it retains the aggression along with intelligent songwriting. ‘Consumed’ is a brave opening track, as it changes tempo and mood several times throughout its seven minutes and introduces Aymar remarkably effectively. ‘Believe’ is relatively simple, but brutally effective and the closing title track has to be heard to be believed. It manages to combine traditional heavy metal riffing with an almost ethereal middle section and ending that almost two decades later still gives me goosebumps. Of course, with a line-up like Control Denied had on this album, it is nearly impossible to go wrong in terms of performances. Shannon Hamm is easily the most Schuldiner-like guitarist Chuck ever worked with and they’re both on fire here. The performances could have easily held the songs hostage though. It is a testament to the brilliance of Chuck Schuldiner that the music holds together so well. He was truly a unique talent and as good as every Death album from ‘Human’ onward is, ‘The Fragile Art Of Existence’ may actually be the most unique album he created. 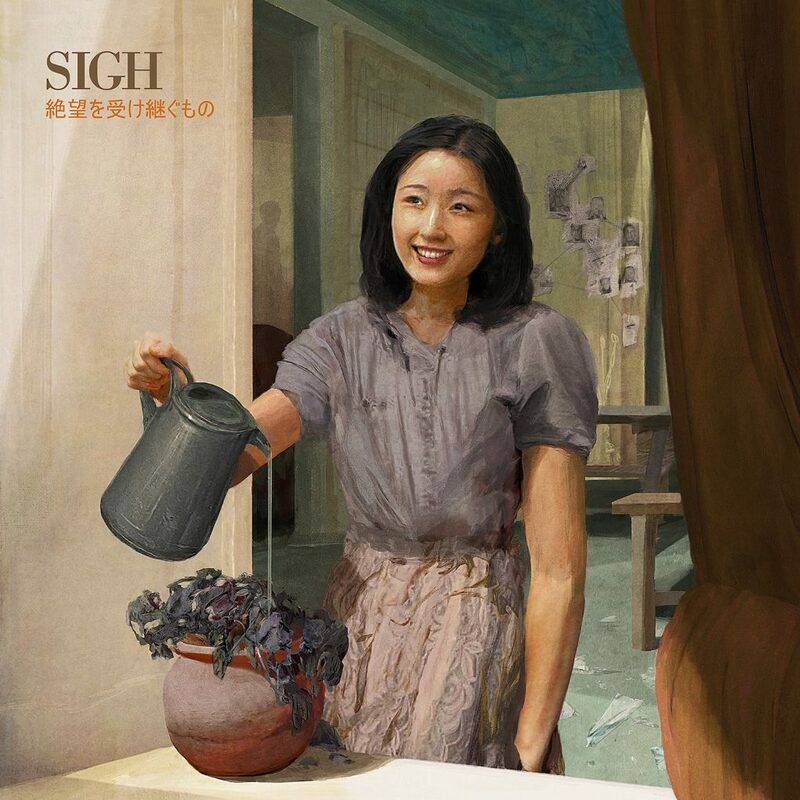 November 16th sees the release of Sigh’s twelfth album ‘Heir To Despair’. On it, the extreme metal has almost been put on the background in favor of distinct influences from progressive rock and East-Asian folk. “The seventies prog vibe has always been there, say since ‘Gastly Funeral Theater’ (1997)”, says Kawashima. “I love crazy prog stuff from the seventies and I am a vintage keyboard collector. Also this time, I tried some flute, which must give a more prog feel to the album. Actually, ‘Graveward’ (2015) was supposed to be a very prog album, but during the recording, I got into more orchestral stuff and the direction of the album drastically changed. ‘Heir To Despair’ has a remarkably clean, almost polished sound. The contrast with the raw production of ‘Graveward’ could hardly be greater. This is not the first time that there is such a sizeable difference between the sonic approach of two consecutive Sigh albums. “I believe it pretty much depends on the direction or the theme of the album“, Kawashima explains. “The theme of ‘Scenes From Hell’ is hell, so we wanted a hellish production. The production of ‘Heir To Despair’ was kind of an experiment. ‘Graveward’ was engineered by our own guitarist, which I must say was a big failure. I’m not saying he was a bad engineer or anything, but he was too biased. Obviously he wanted his guitar to be heard more than anything and he knew too much about the songs, which excluded objectivity. A thematic approach is Kawashima’s modus operandi anyway: “The concept of this album is about insanity. I’ve been wondering what insanity is these days. Of course, there are some real mad people of whom everyone can tell that they’re mad, but insanity is not always that distinctive. It’s just a matter of where to draw the line between sanity and insanity and it is one hundred percent arbitrary. When you are insane, you cannot tell that you are. I don’t think I am insane. I think that what I am saying in this interview makes perfect sense, but there is no way to assure that. Completely insane people probably think they’re talking completely logical. Yet, it is Kawashima who is pulling the strings. “I write most of the songs and all the lyrics“, he explains. “As for ‘Heir To Despair’, half of ‘In Memories Delusional’ was written by our guitarist You Oshima and I left all the guitar solos up to him, but I can say that’s the only compositional input from the other band members. Since Lovebites’ debut album ‘Awakening From Abyss’ was a serious contender for my album of the year last year – it was basically a coin toss between that one and Firewind’s ‘Immortals’ – and their EP ‘Battle Against Damnation’ also seriously impressed me earlier this year, ‘Clockwork Immortality’ was an album I anticipated eagerly. 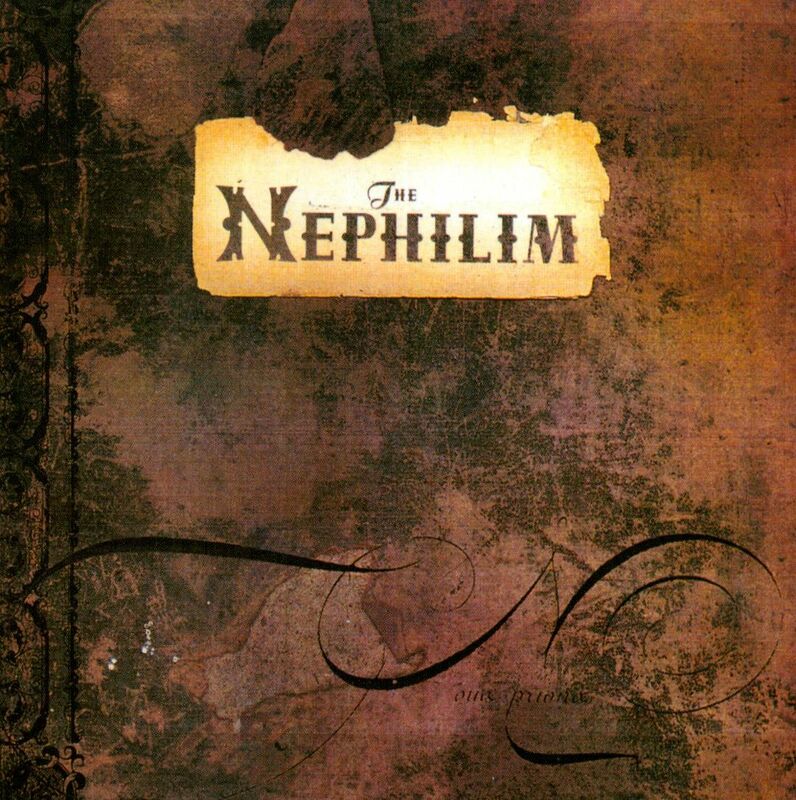 Fortunately, it is another quality record that finds the middle ground between traditional heavy metal and contemporary European power metal. Due to its slightly more streamlined production, the immediate impact is not as strong as with ‘Awakening From Abyss’, but the many excellent songs reveal themselves soon enough. To get my criticism out of the way first: most of the songs on ‘Clockwork Immortality’ are paired stylistically and I’m not sure if that is beneficial to the flow of the album. It starts out with two strongly European-tinged power metal tracks, which are followed by two lighter, melodic tracks, the two most aggressive tracks on the album and two songs with distinct melodic hardrock elements. I think ‘Clockwork Immortality’ could have been more balanced if the songs were spread out more evenly over the album. It’s only a minor problem though, as the songwriting and performances are top-notch here. As I said before, some of the songs need a little time. First video ‘Rising’ did not make the best first impression, but makes perfect sense within the context of the album. My initial thoughts about the following ‘Empty Daydream’ were that the track was only saved by its futuristic prog middle section, but though I still think it is somewhat overlong, the melodies and Asami’s vocal performance are excellent. However, the more metallic material, like the powerful uptempo guitar feast ‘Addicted’, the the vaguely Loudness-ish borderline thrash metal of ‘M.D.O.’ and the equally melodic as intense ‘Pledge Of The Savior’ definitely had more immediate appeal. Quite surprisingly, my favorite track on ‘Clockwork Immortality’ is ‘The Final Collision’. That is surprising, because it was the power metal that drew me towards Lovebites in the first place and the song has more in common with minor key late eighties hardrock. Asami gets to show different sides of her incredible voice and the climactic chorus is the single finest moment on ‘Clockwork Immortality’. The guitar arrangements are impeccable as well, but the same can be said about the entire album. Midori and Miyako are all over the album, though they appear to be less focused on soloing and more on strong harmonies and layering contrasting parts this time around. While ‘Clockwork Immortality’ is not quite as good as ‘Awakening From Abyss’ and ‘Battle Against Damnation’ were, it is about as close as it gets. Lovebites is experimenting on a few tracks and rather successfully on most of them. The entire band is on fire, with especially Asami and Haruna having massively improved their skills. Funnily enough, ‘Clockwork Immortality’ shows that Lovebites has the European power metal sound down better than a lot of actual European power metal bands. If that is your thing, ‘Clockwork Immortality’ is well worth your attention.